I've really enjoyed the cooler temperatures this week that have allowed me to pull out a favorite sweater in the mornings. There were some crisp, sunny days with the kind of light that almost hurts your eyes it is so clear and we even had some very dusty rain! Up on the mountain where we have our cabin, they had the first snow of the season - bring it on! 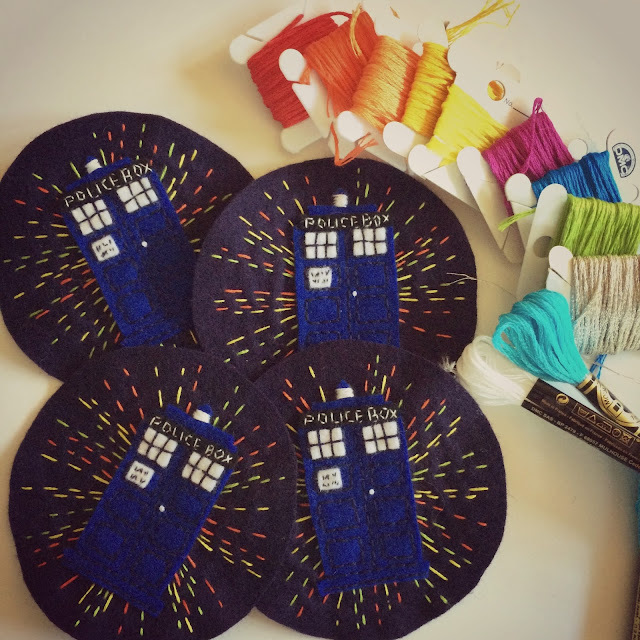 I've had three sewing projects going on this week in addition to the copper leaves in my last post and I've been trying to get my Etsy shop up to date with fresh listings. 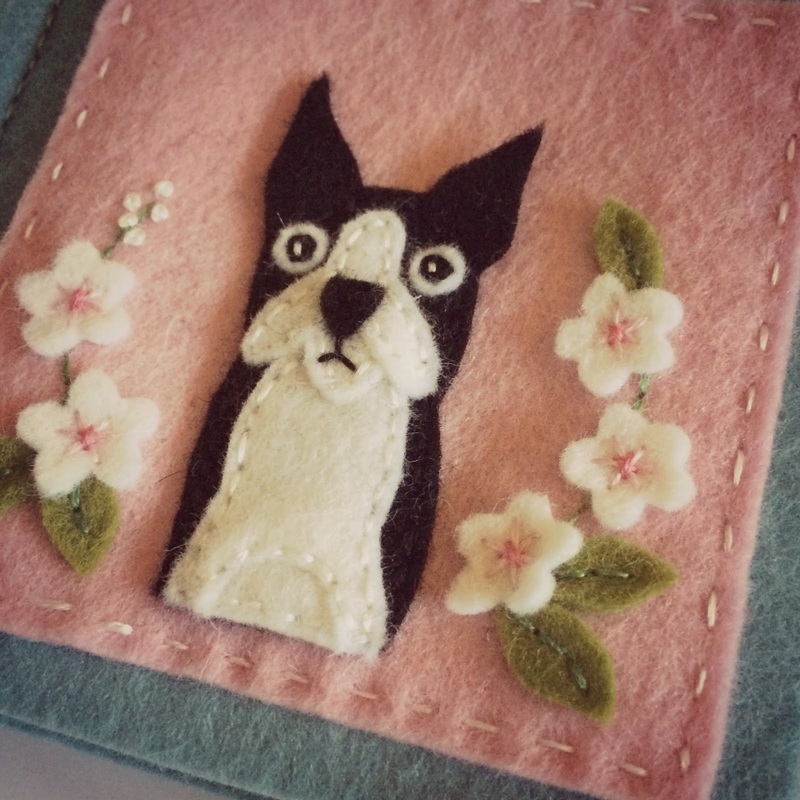 I've been working on some boston terrier needle books. Someone who bought a boston terrier pincushion at the quilt show last weekend, contacted me to see if I could make a coordinating needle book. Well yes of course! 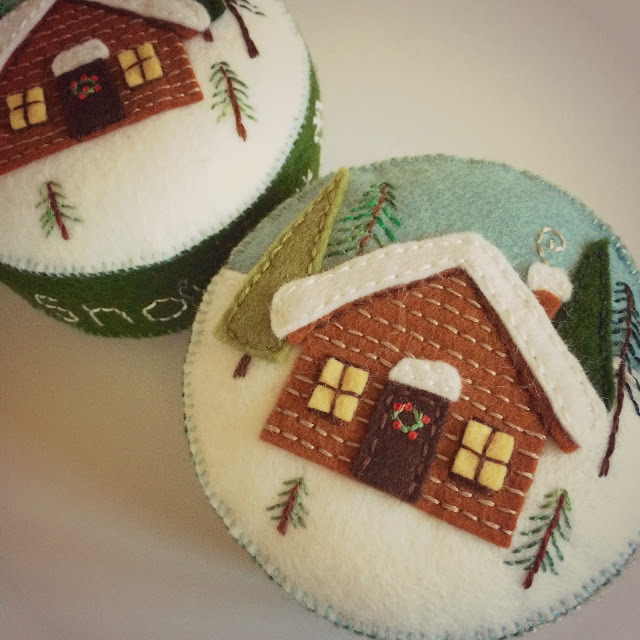 I've also been sewing some log cabin pincushions which turned out to be quite appropriate with the first snow of the season arriving this week! On the side of the pincushion, I've embroidered "Let it snow" and there is a small flurry of pretty snowflakes. I've also started on some more TARDIS pincushions which are currently out of stock in my shop. I have two people waiting for them! 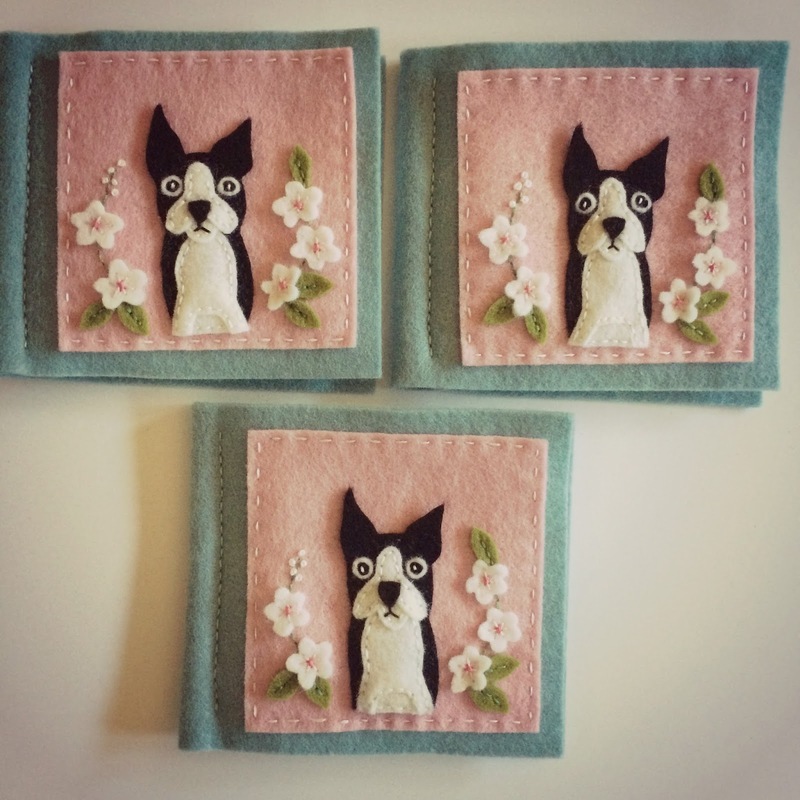 I really like sewing these! The quilt show last weekend went well but it was very hot on the Saturday afternoon which kept people at home I think. Saturday morning and Sunday were both busy though and when I did my accounts, it wasn't as much down on last year as I thought it was going to be. 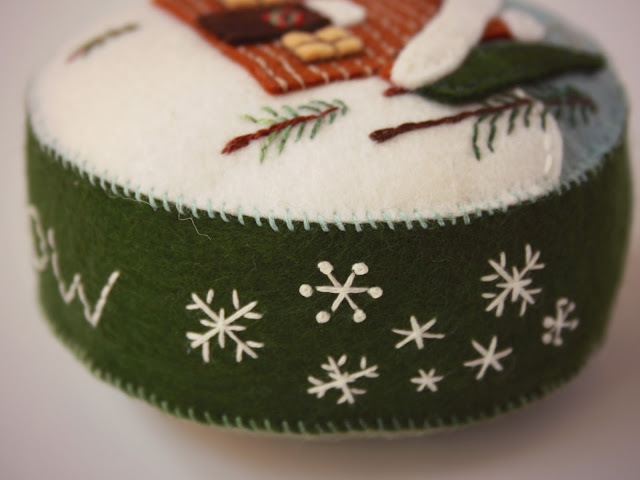 I met some lovely people and exchanged email addresses with a couple of other local artisans. 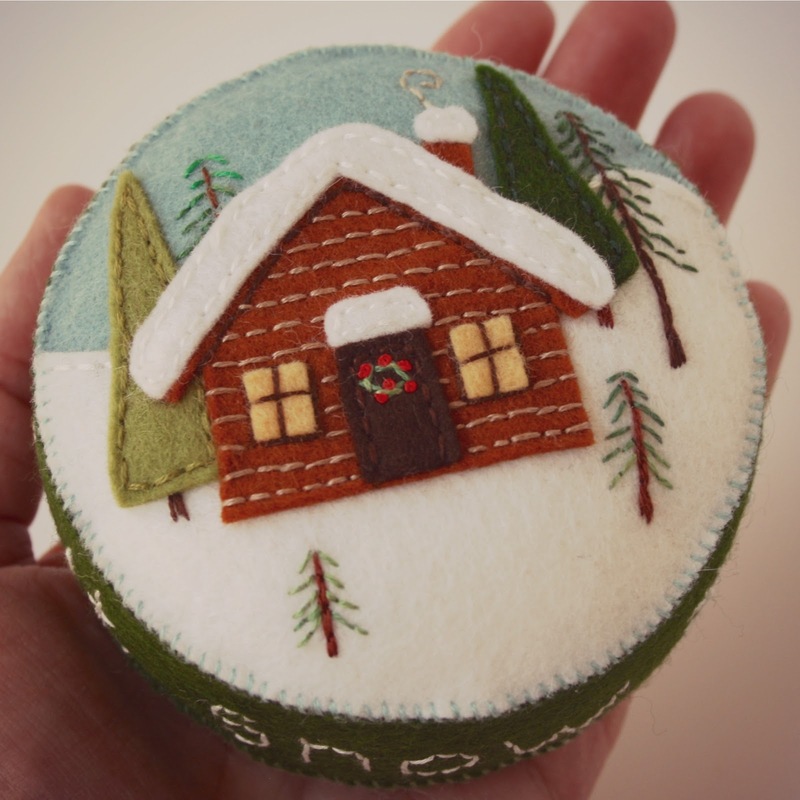 I also met the president of the local chapter of the Embroider's Guild of America and was invited to attend their next meeting which I will try and do if I can. I love interacting with people at these shows. I'm usually pretty shy and I'm not good in large social gatherings but this is different somehow. Sadly I didn't get time to photograph the quilts in the show. I must try harder to do that next year.